ROCKHAMPTON'S Mark Knowles has had a golden finish to his international hockey career. 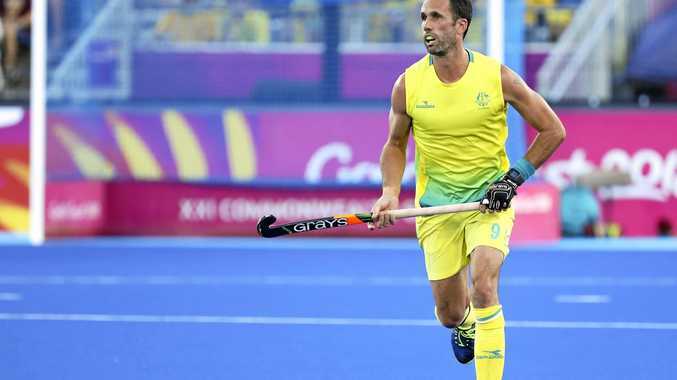 Knowles, the captain of the Australian mens hockey team the Kookaburras, announced his retirement in February making the Commonwealth Games his last international competition. During last night's gold medal winning game, Knowles stepped up for a fairy tale ending in front of an anticipatory crowd but flicked his stroke over the bar. He retires after 318 matches, including an Olympic Games gold medal in Athens, two World Cup gold medals, and a 2014 player of the year award. Knowles first picked up a hockey stick at age four, and pushed around a paper ball made out of a Morning Bulletin newspaper. 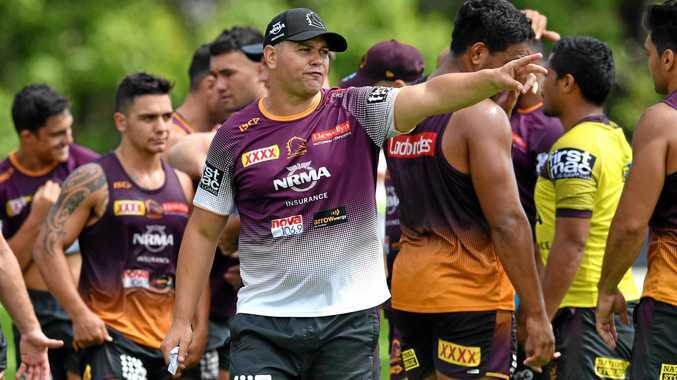 He was honoured these games by being awarded the iconic role of flag bearer for Australia. 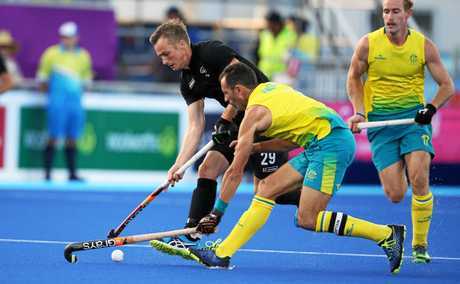 Last night's win means the Kookaburras have secured their sixth consecutive Commonwealth Games gold medal after a 2-0 win over New Zealand in the final at the Gold Coast Hockey Centre. Second quarter goals from Aaron Kleinschmidt and Matt Dawson secured the victory for Australia, who also made it 33 straight Commonwealth Games wins in the process. Knowles, playing his 324th and final cap for his country, had a late chance for fairy tale goal when the Kookaburras won a penalty stroke but he put his shot over the bar. The result also continues Australia's dominance over the Black Sticks, having won nine games in a row against their Trans-Tasman rivals. The Kookaburras won the key stats with 59-41 possession, along with 39 circle penetrations to 23. Australia also denied New Zealand any penalty corners, while winning four of their own, converting one of them. The hosts earned the first penalty corner of the game but New Zealand launched a few raids, with Hugo Inglis and Hayden Phillips both firing over in the first quarter. Trent Mitton also flashed a shot wide for Australia, before an improved second period where the Kookaburras struck twice. In the 21st minute, Flynn Ogilvie drove forward, found Mitton inside the D whose pass was poked over Black Sticks goalkeeper Richard Joyce by Aaron Kleinschmidt in typical goal poacher style. Tyler Lovell was called in action with a reflex save to deny Dominic Newman, before the Kookaburras added a second when Matt Dawson slid home powerfully from a 27th minute penalty corner. Australia had further opportunities to extend their lead in the third quarter, with a Tom Wickham half chance, while some Dylan Wotherspoon skill on the baseline almost set up Tom Craig. Youngster Lachlan Sharp almost sealed the result in the 48th minute when his deflected shot came close to trickling over the line until Nick Ross' last-gasp intervention. Trailing 2-0 with six minutes to go, New Zealand replaced goalkeeper Joyce with an outfield player. New Zealand's desperation opened up opportunities for Australia and the hosts won a penalty stroke when Sharp's goalbound shot was blocked by Ross' leg. Despite the miss, the Kookaburras secured victory and sixth consecutive gold medal.